2019 licenses and club memberships are now available. These licenses are valid from the day of issue until December 31, 2019. 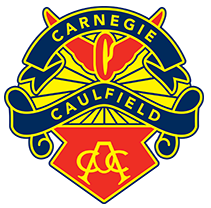 Select Cycling Victoria as the state, then Carnegie Caulfield as your preferred club and you will receive an email from CA confirming your membership, which also acts as a temporary license to enable you to begin racing immediately. CA will post your membership card direct to you. SPECIAL NOTE: If you are intending to race, you must select a “RACE” membership category. Scroll down the options past all the “RIDE” categories as these are only applicable for members who do not race but only ride in mass participation rides. Look for “Race Elite”. “Race Junior U15″ etc. A “RACE” membership is required to race at Glenvale, Sandown, Packer Park, winter road races, Cycling Victoria open events or to participate in CCCC’s Junior Development Program (JDP).